Too hot or too cold? Invest in a vest for that “just right” temperature. 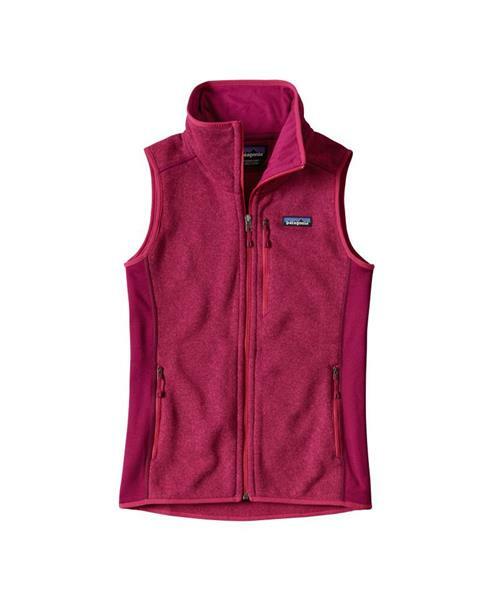 Patagonia's Better Sweater Vest is made better with lightweight, breathable fleece and Power Stretch side panels to eliminate bulk. A tall collar gives added warmth; spandex binding at the collar, armholes and hem provide a clean finish. With zippered handwarmer pockets and a left-chest pocket with opening to route media cable. Fair Trade Certified™ sewing.